What you will need to make these easy cake pops is a cake pop mould, which can be purchased online (I bought mine on eBay), the candy sticks (try to buy bigger ones than these), candy melts, sprinkles and cake mix (or make your own from scratch). 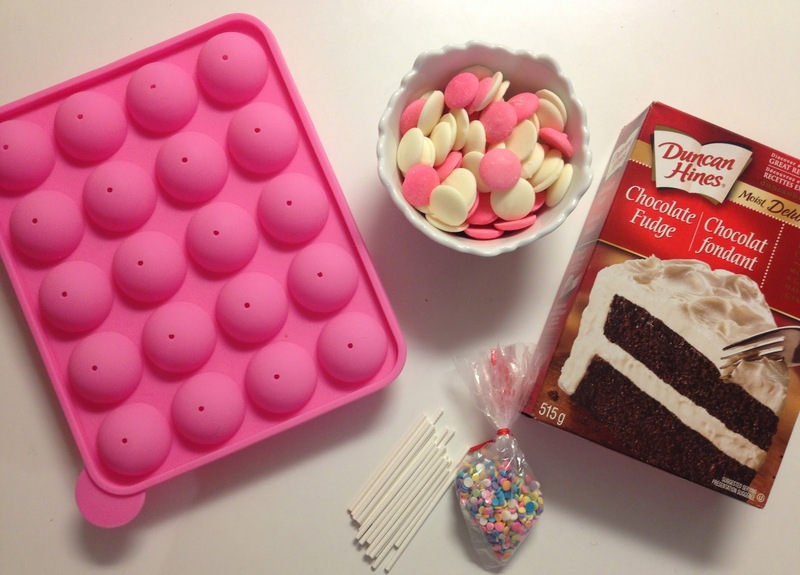 I bought the candy melts and sprinkles from bulk barn or you can find them at michaels. Start by making the cake mix, and filling the bottom mould almost to the top, but not quite. 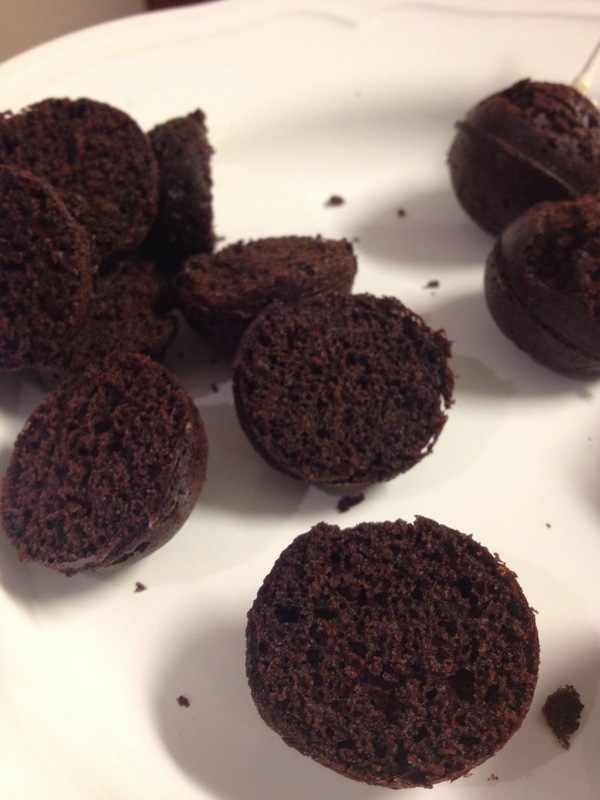 The picture below shows how much I filled mine, and they came out perfect! 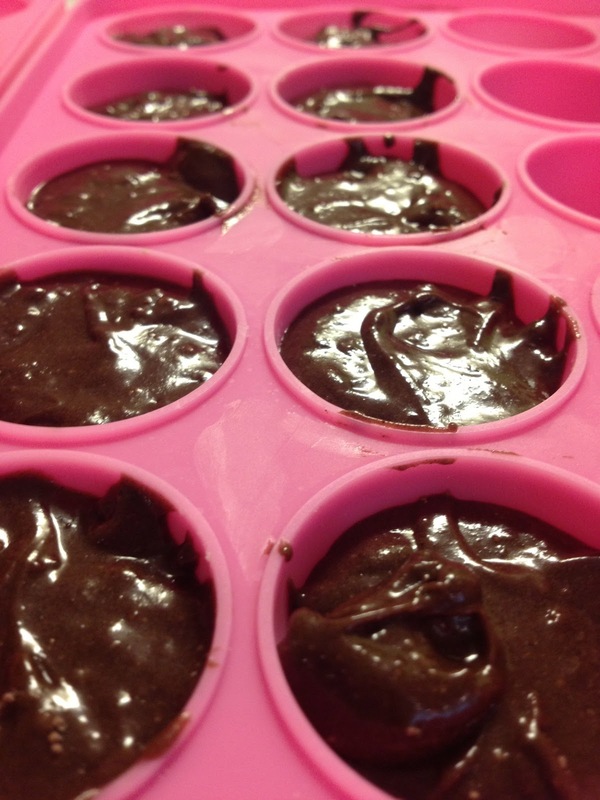 Make sure you grease the moulds before you put the batter in! 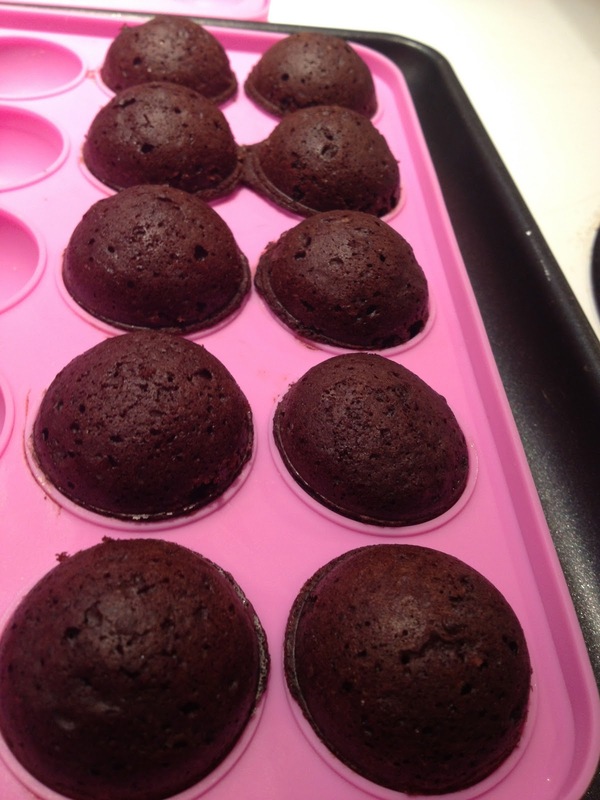 Place the top on the mould, and make sure it's snapped all in place, and then place on a baking tray. Try to bang down the mould to get out any air bubbles. I baked mine for 18 minutes, and then I stuck a tooth pick through the hole to check they were finished. Let them cool a little bit before removing the top mould. 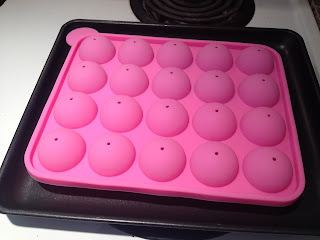 Place them in the freezer for 15 minutes, and then remove the pops from the bottom mould. 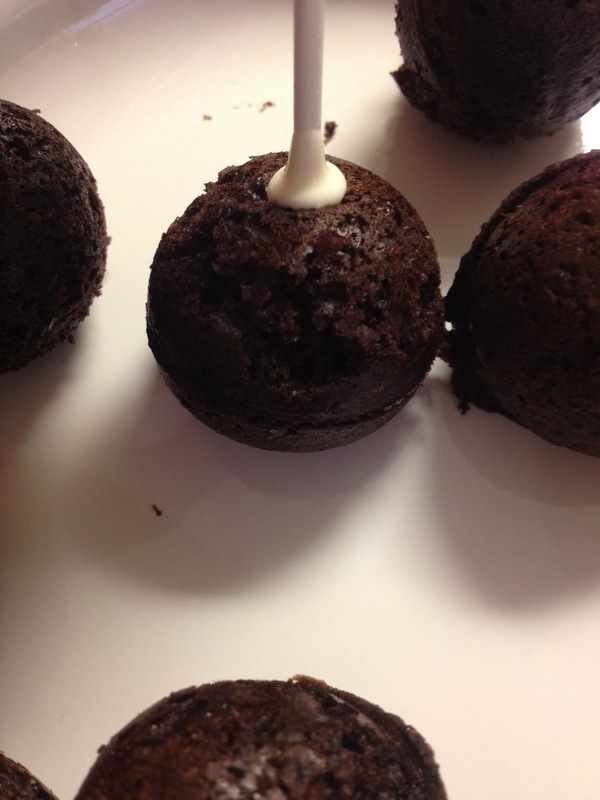 Pull the silicone mould and try to loosen the cake pops before you pop them out so they come out perfect. Dip the end of the sticks into the melted candy melts, and then stick them in the cake pop balls. 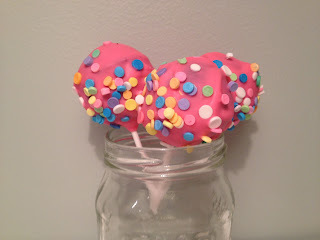 If some if your cake pop balls don't come out perfect, cut them in half so you can combine the perfect sides together ... And eat the less perfect ones! To combine the perfect sides of the balls, just put some of the candy melt in the middle. 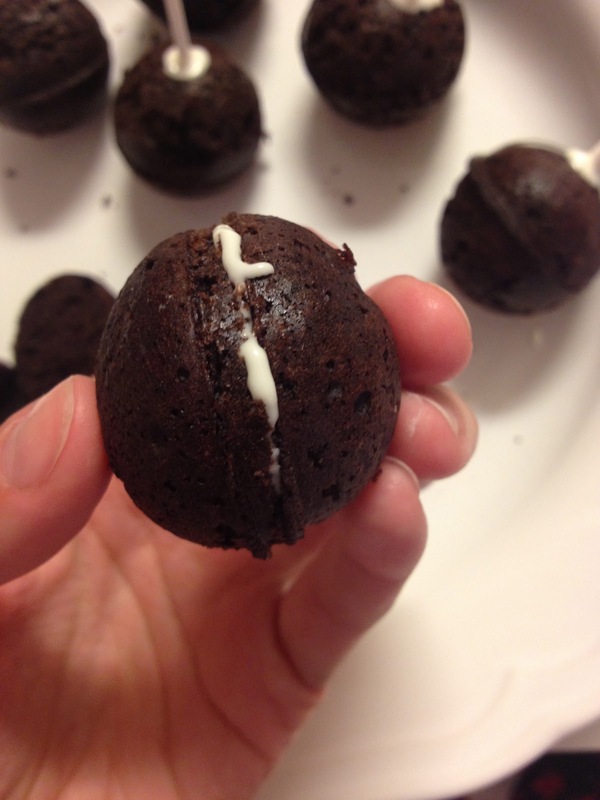 Make sure when you dip and put the stick in these ones, that you go all the way into the top half of the ball. Place in the freezer for 30 minutes. Work with only a few cake pops at once, so they don't start to thaw out. 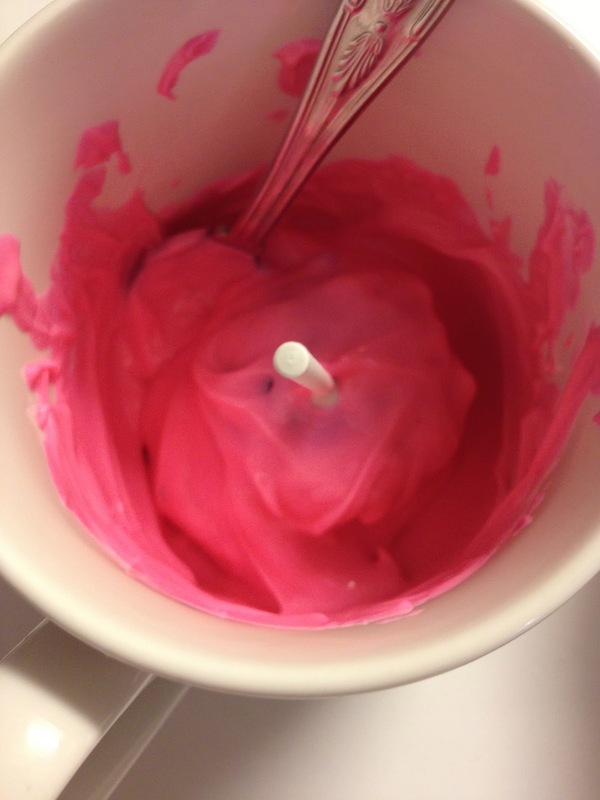 I found that my candy melts were thick even when melted. 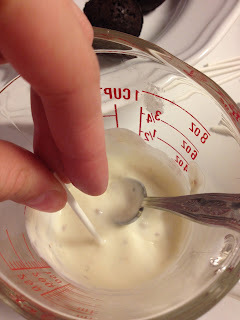 After some research, I found that you can add half to one teaspoon of oil or crisco to thin it out - this will make perfect and smooth iced cake pops. 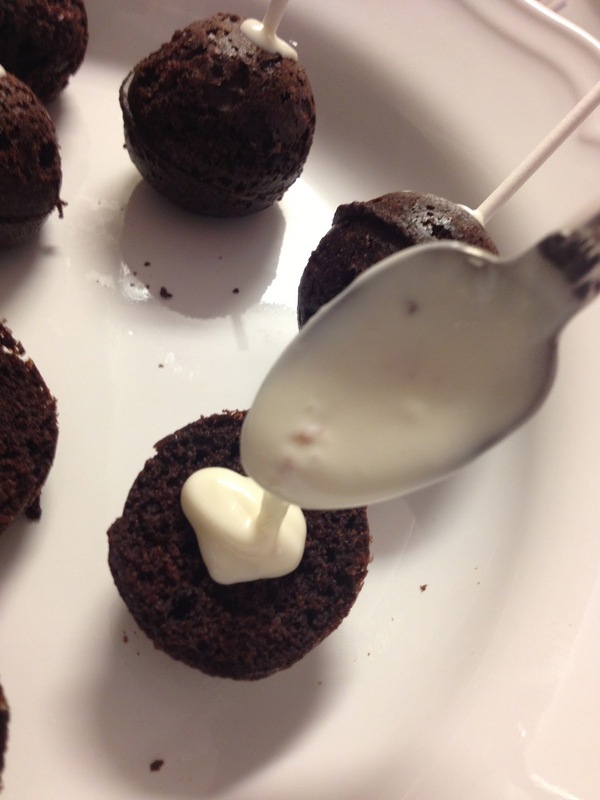 Roll the cake pops in the candy melt. Watch this video to help you - this was a little difficult because my sticks were too small! 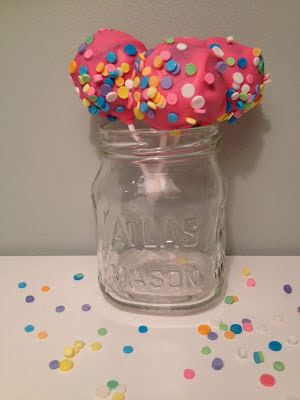 Add the sprinkles to the pops while the candy melt icing is still wet. Dry standing up if possible. Canada Day Printables and Ideas!